Julia's Voice is the modern voice of Julia Ward Howe. Stand for Peace is our Mothers Day Event. Julia is distraught over the the state of civil discourse in the United States. She once again fears for her children and for peace in the land she loves. If you are interested in organizing a Stand for Peace in your location on Mother's Day, May 13, 2018 please contact us. Online organizing will begin in January 2018. Over one hundred forty years ago, Julia Ward Howe, activist, Unitarian, suffragette and mother of six, called mothers to action by proclaiming the first Mother’s Day. It was a day to stand for peace and against war. to stand for peace and against war. Explore here to learn how YOU and your group can get involved! 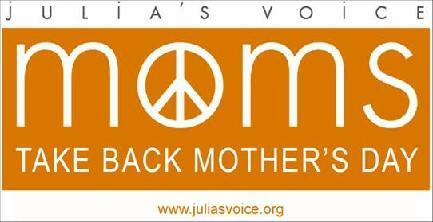 Julia's Voice is a group of "mothers and others" working to Take Back Mothers Day and honor Jullia Ward Howe. We know that Mothers value peace most. 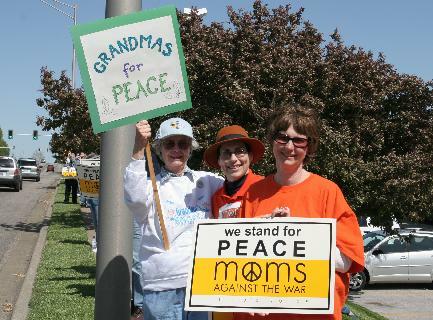 To reclaim our holiday, we sponsor Mothers Day Stand for Peace events and support others as they sponsor peace events in their own communties. Explore our website! You'll find photos of our events, tools to help you plan your own Stand for Peace event and more information about Julia Ward Howe, the extraordinary woman who started it all. Be sure to watch our documentary! Help Take Back Mothers Day! Organize your own event to Take Back Mothers Day! 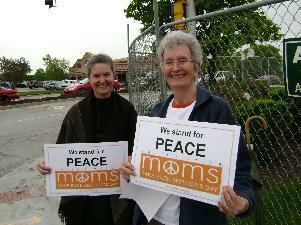 Mothers Day Stand for Peace in 2013! Watch our Documentary to get started! Why Promote Peace on Mothers Day? After living through the horrors of the Civil War, Julia Ward Howe saw signs that another war was brewing as the Franco-Prussian conflict threatened to escalate into a full scale war. Tired of war and armed with the celebrity that came to her after her famous poem The Battle Hymn of the Republic was published in 1862, she called upon women to speak out against this new war. Read more about Howe here. "Our sons shall not be taken from us to unlearn all that we have taught them of charity, mercy and patience". Who was Julia Ward Howe?